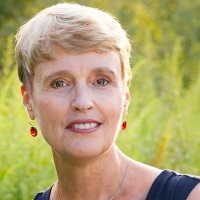 Investigative journalist Mary Beth Pfeiffer, the author of Lyme: The First Epidemic of Climate Change, will speak at SUNY Oswego at 2 pm on April 6. She will talk about the rise of ticks and disease in Central New York, where Lyme disease cases grew by more than 300% since 2008 and half of adult ticks are infected with Borrelia burgdorferi. 193 Thompson Road, Oswego, N.Y.